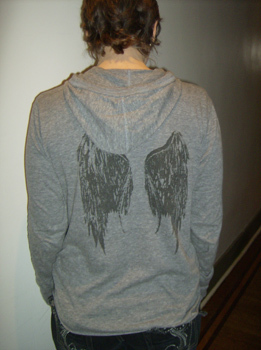 An illustration of Doctor Blackfeather from The Blackfeather Chronicles series decorates the front of this hoodie, while black wings decorate the back. 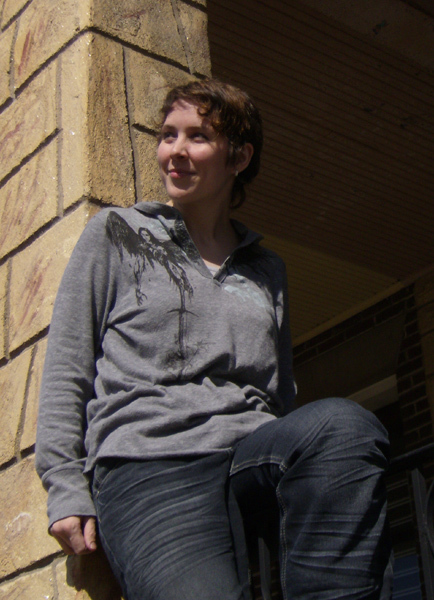 The illustrations are printed on a very soft grey recycled cotton blend hooded shirt in black and gray ink. 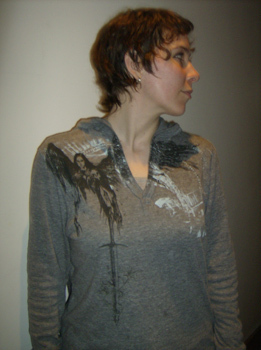 This hoodie was screenprinted by hand by the author.